Let us imagine that you have spent time and funds on SEO, published articles in your blog, and posted on social media to attract visitors to your website. Would you like to lose leads because of a lousy contact form? Because you can. You may have different contact forms on your website and measure conversions by a number of form submissions. If so, you should be interested in our expert suggestions on how to encourage your clients and potentials fill in your contact forms. Most visitors are impatient. They hate way too long contact forms. Moreover, people don’t like tricky questions, all-required fields, and entering a complex сaptcha again and again. A mistake is to ask for something that seems irrelevant to a visitor. For example, why does it matter where a person resides if you are selling ebooks? To understand how many fields you need to incorporate, consider how your funnel looks like and what information will help you provide the best service to your visitors. 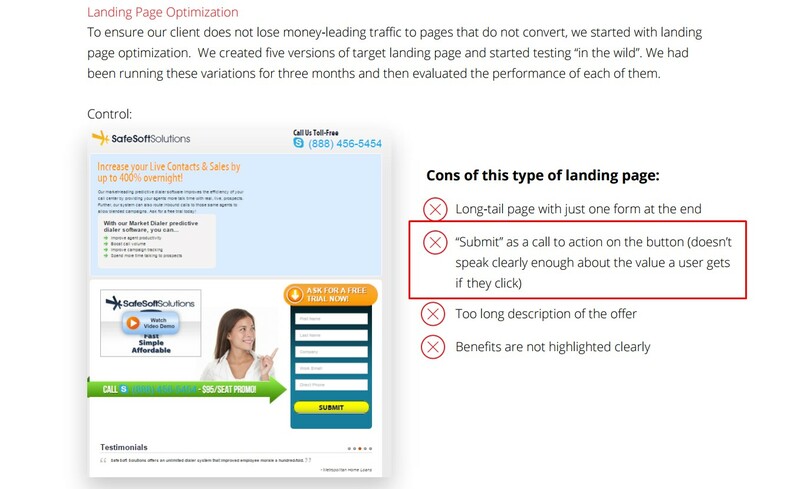 The studies show that it is possible to increase conversions by 20-120% by removing fields from a contact form. The important detail here is to ensure that the fields your visitors want to interact with remain (find more here). Do you feel comfortable when sharing your phone number? Most people don’t, especially on the Internet, because they understand that the contacts are likely to be forwarded to sales representatives. The latter may be quite annoying and bother you at the wrong time. Your site visitors may also be serious about your products, services, and brand, but feel that a phone number is a private information they would rather not share with you at the first meeting. 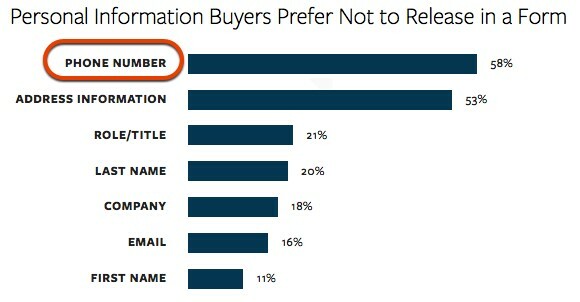 The study reveals that the majority of users would prefer not to release a phone number in a form. 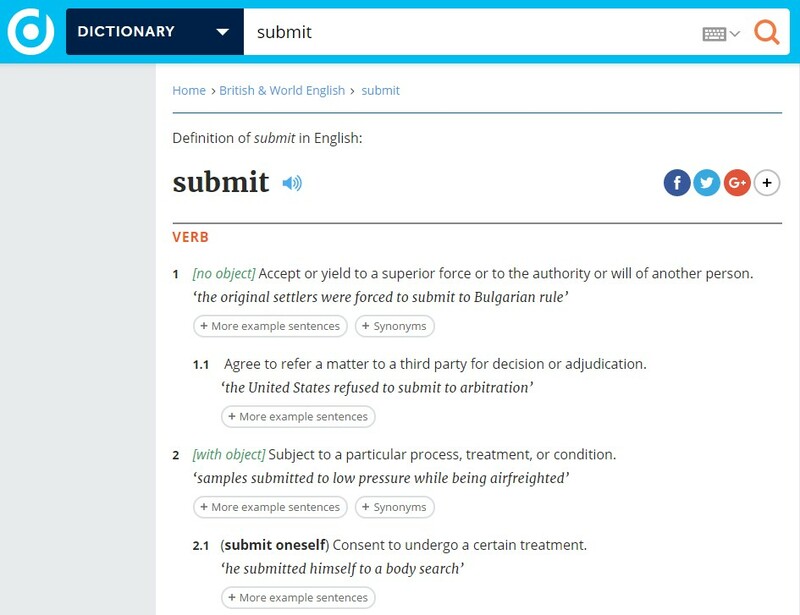 Some people think that “submit” is a negative word. If you check the Oxford dictionary, you will find the following definitions. So, it’s not surprising that your visitor would rather click on a “send”, “go”, “click here”, or “contact us” button. One of our case studies also showed that a “Submit” button did not work out well. A/B testing is a good way to find out what your target audience like and hate about your contact forms. It is also a good idea to check out the case studies of other companies. You can employ the best practices and benefit from well-known and proven solutions. While testing, ensure to check one element at a time, be patient, and analyze your findings. To get an understanding what elements to add or remove, check out these examples. Other details to bear in mind is how many forms you need. Since most people are lazy, they will probably contact you if a “Contact Us” pop-up is on the webpage. They may not open a “Contact Us” page to write a message to you. Of course, you should test the preferences of your audience. Anyway, the easier to find your form, the better. Use the Promodo’s contact form to ask questions if you have any or order a free audit of your website. We will be happy to help you increase conversion rate!